Avadh Sugar, Dhampur Sugar, Magadh Sugar, Thiru Arooran Sugars, Dalmia Bharat Sugar, Mawana Sugars, Uttam Sugar Mills, Dwarikesh Sugar Mills, EID Parry and Balrampur Chini were up 3-9% on the BSE. Shares of sugar companies were in focus with Balrampur Chini Mills and Dhampur Sugar Mills hitting their respective 52-week highs; gaining up to 7 per cent on hopes of improvement in earnings. Avadh Sugar, Dhampur Sugar Mills, Magadh Sugar, Thiru Arooran Sugars, DCM Shirram Industries, Dalmia Bharat Sugar and Industries, Mawana Sugars, Uttam Sugar Mills, Dwarikesh Sugar Mills, EID Parry and Balrampur Chini Mills were up between 3 per cent and 9 per cent on the BSE. In comparison, the S&P BSE Sensex was up 0.17 per cent at 35,936 points. In the past one week, most of these stocks has outperformed the market by gaining more than 10 per cent, against 1 per cent rise in the benchmark index. Balrampur Chini Mills hit a fresh 52-week high of Rs 130, up 4 per cent on the BSE. The stock rallied 27 per cent in the past three weeks after it reported strong earnings for the quarter ended December 2018 (Q3FY19). The company posted 96 per cent year-on-year (YoY) growth in net profit at Rs 120 crore in Q3FY19, on the back of healthy performance by distillery and cogeneration segment. It had reported a profit of Rs 61.42 crore in the same quarter last year. Operational revenue, however, declined 6 per cent at Rs 941 crore on YoY basis. Ebitda (earnings before interest, taxation, depreciation and ammortisation) margin improved 610 bps to 17.02 per cent in Q3FY19 from 10.92 per cent in Q3FY18. The performance of the sugar segment was muted on account of lower realisations. The distillery and cogeneration performance was encouraging on the back of higher volumes and realisations. The margins were supported by central and state government assistance, to offset the cane cost, aggregating to Rs 90 crore which was adjusted against the cost of goods sold (COGS). 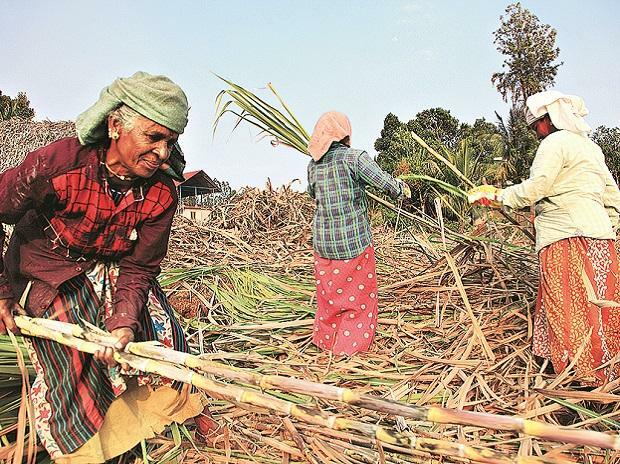 The company is hopeful that the Central and State Government both will continue to take timely measures, which will help the sugar industry clear cane arrears timely and ensure the stability of the sector. The operating margins of sugar millers could improve by 300-400 basis points (bps) in sugar season (SS) 2019 (October 1, 2018, to September 30, 2019) following around 7 per cent increase in the minimum support price to Rs 31 per kg from Rs 29 announced by the government earlier this month. This will lead to incremental domestic sales realisation of around Rs 3,300 crore, while higher export prices will generate another around Rs 200 crore. That will help sugar mills reduce their cane arrears, which stands at Rs 20,000 crore now, by around 18% to around Rs 16,500 crore. It will also cut the losses that millers have racked up because of excess supply and tepid exports, according to CRISIL Research. The credit profiles of sugar mills have moderated compared with last fiscal because of continued losses at the operations level, increasing capital expenditure intensity because of investments planned in distilleries, and stretched working capital requirements. This is also reflected in the sugar sector’s credit ratio (or rating upgrades to downgrades) of 0.3 times in the first 9 months of fiscal 2019. With an expected increase in profitability and cash generation, liquidity and debt metrics of millers are likely to improve in fiscal 2020. For instance, the debt to Ebitda ratio of CRISIL-rated sugar mills is expected to marginally improve to about 4-4.5 times in fiscal 2020 compared with the estimate of around 5 times for fiscal 2019, it added.